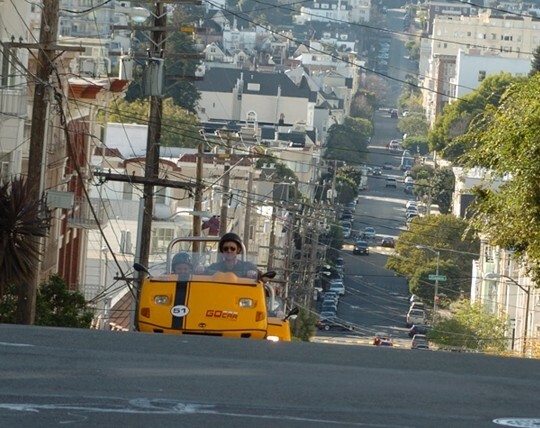 It’s time to experience a GoCar! This wonderful little invention is a clever talking car loaded with a GPS-guided tour that not only takes you where you want to go, but narrates along the way, giving you an overview of the sights. 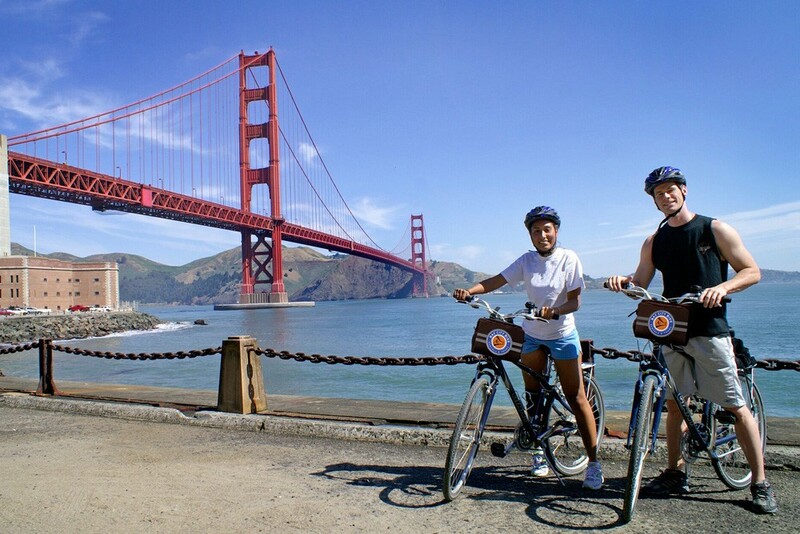 Bay City Bike is your destination for everything bike…rentals for all ages and ability levels, guided tours, maps and suggestions for exploring the city on your own, plus all the extras you’ll need such as helmets, locks, rear rack and bungee, water holder, and a front camera bag. This 2-3-hour guided tour is perfect for all ages and levels. 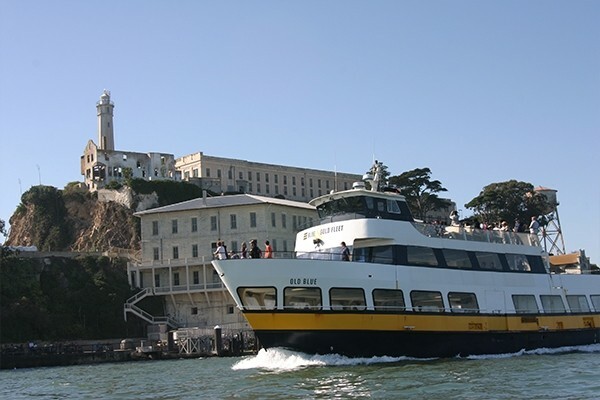 Hear chilling tales of Alcatraz escape attempts and unscripted accounts of life on The Rock aboard the Escape from the Rock Cruise. 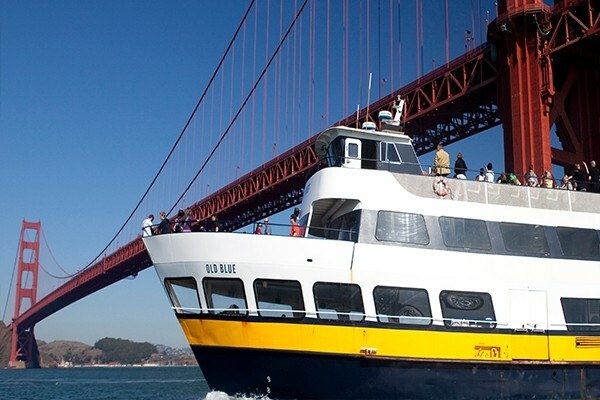 Blue & Gold Fleet’s 90-minute Escape from the Rock cruise takes you under the Golden Gate Bridge and around Alcatraz Island to see every angle of this mysterious island. Take advantage of prime photo opportunities with unobstructed views in every direction aboard Blue & Gold Fleet’s 60-minute Bay Cruise Adventure. Sail past the famous PIER 39 sea lions and along San Francisco’s historic waterfront, revealing the city’s fascinating skyline. 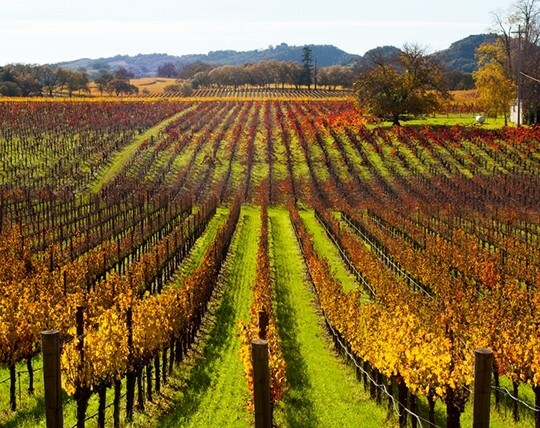 Your tour experience will start with a trip across the Golden Gate Bridge as we depart San Francisco and into Wine Country! 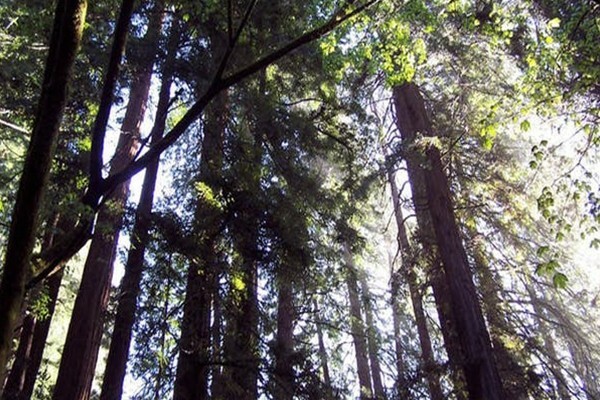 Venture north over the Golden Gate Bridge to an isolated canyon filled with ancient coastal redwood trees, also known as Muir Woods National Monument. Enjoy solitude and peace, through the cool, moist air, as you stroll through 1000-year-old trees towering 260 feet tall. Experience the awe and wonder as you are treated through Northern California s signature fog, while you wander in and out of the Mother Nature s redwood alleyways. Two hour guided tour with historic and current commentary and music. Two photo stops - Golden Gate Bridge and Treasure Island. View the dazzling skyline and city lights at night. 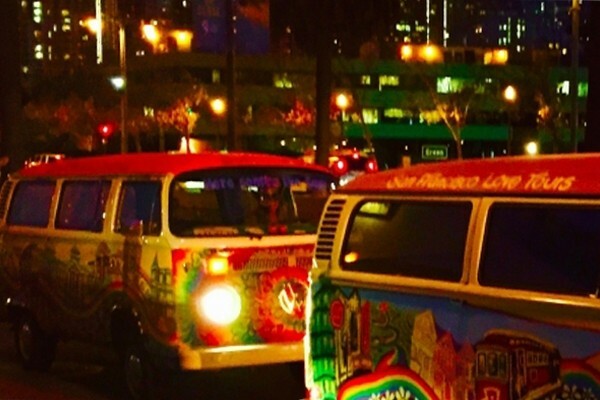 Hop on a hand painted VW bus and get to know the hippie past and fun loving hipster streets of today’s San Francisco. Travel where big tour buses are forbidden. 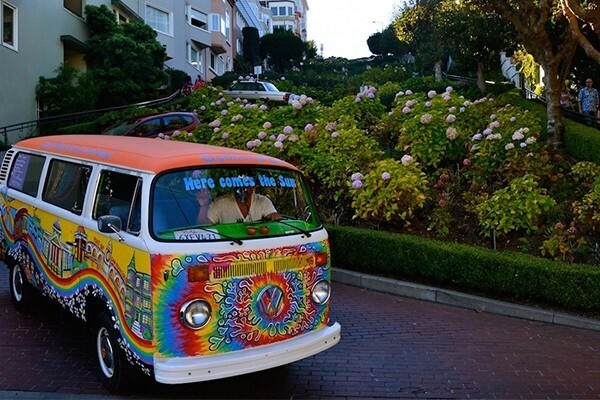 Visit the homes of San Francisco’s counter-culture icons such as The Grateful Dead, Janis Joplin and Jimi Hendrix, while grooving to the sounds of the 60’s and other San Francisco classics. 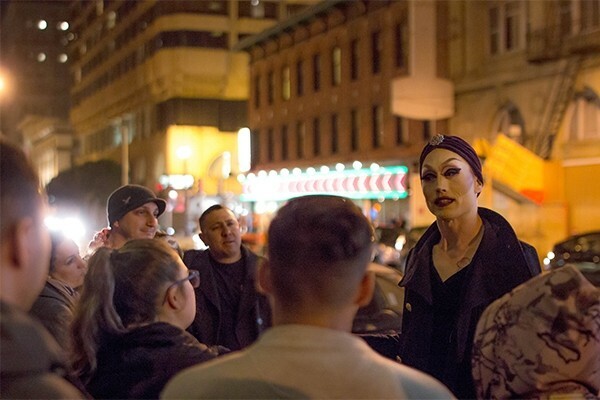 A macabre and murderous tour through the hotels and streets of downtown and the Tenderloin. Not “just a ghost tour,” this after-dark journey includes tales of unexplained deaths, scandalous murders, ruthless cult leaders, the old red light district, famed spirits, serial killers, assassins and more. 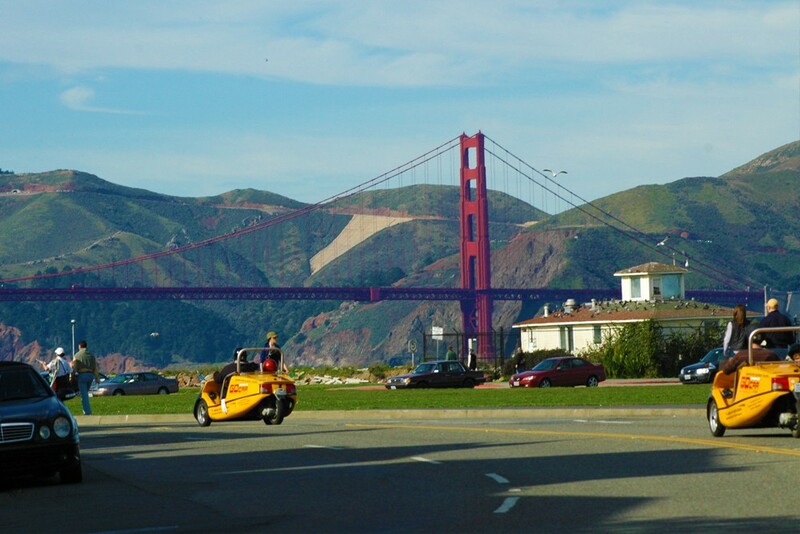 This exclusive ride takes you coastal along the famous Piers of San Francisco, through Crissy Field, and past Fort Point to the breathtaking Golden Gate Bridge. Cycle on the west, ocean side of the bridge which opens at 3 pm strictly for cyclists. Explore the diverse oasis of the Golden State Park in 2 hour guided bike tour suitable for riders of all levels! 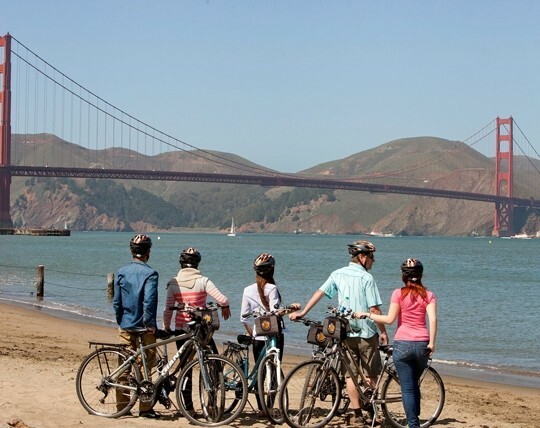 Bay City Bike is your destination for everything bike…rentals for all ages and ability levels, guided tours, maps and suggestions for exploring the city on your own, plus all the extras you’ll need such as helmets, locks, rear rack and bungee, water holder, and a front camera bag. 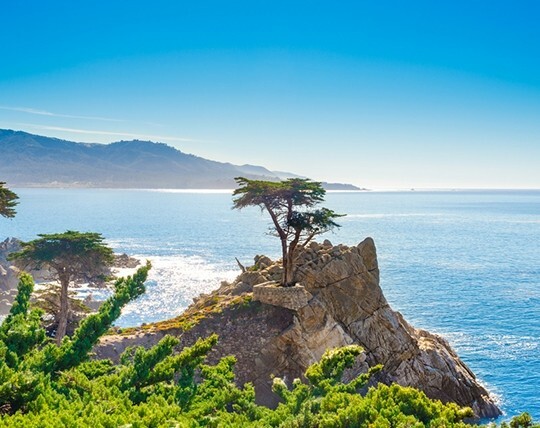 Take a scenic trip down California’s rugged coast! 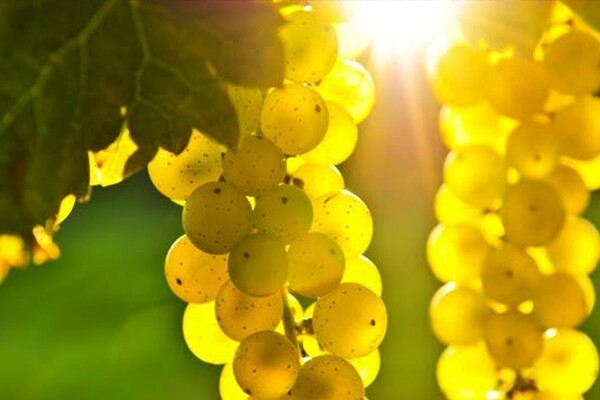 Journey up north into Napa and Sonoma Valley to relax in two world renowned wine regions! Go back in time on this journey where you will walk down hidden alleys of the vibrant Chinatown to discover revolutionary leaders, fascinating architecture and the history of the Great Earthquake of 1906. 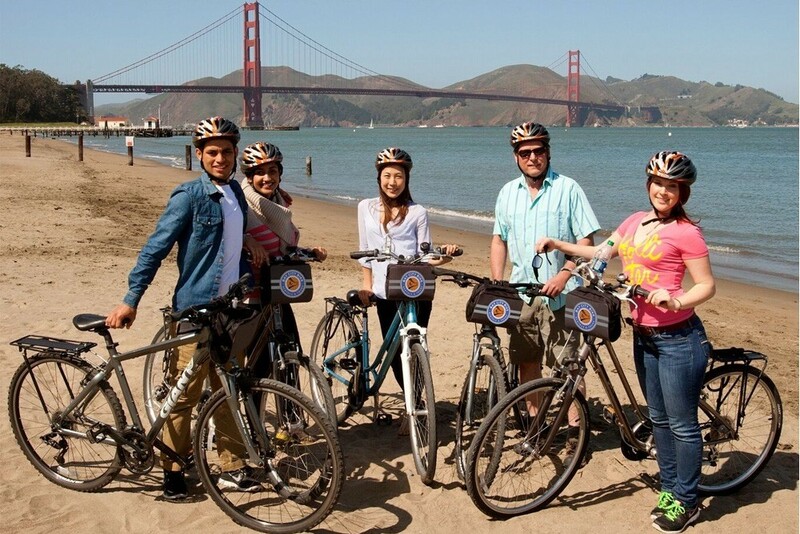 Get the entire family fitted comfortably for a 24 hour bike rental that includes a 3-hour guided tour over the Golden Gate Bridge to the coastal town of Sausalito. 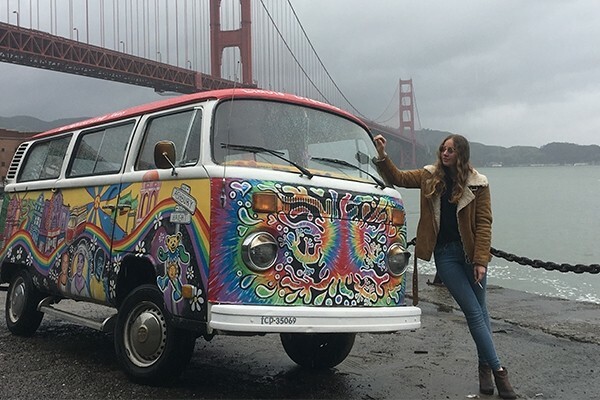 This ride is appropriate for all ages, and you'll see sea lions and dolphins as well as gorgeous views of the San Francisco Bay.